What is LockerGoga ransomware? And how does it execute its attack? LockerGoga ransomware is a data-encrypting malware that was found targeted several companies in Europe. Its first attack was on the system of Altran Technologies which made the company shut down their IT network and all applications to protect data of their clients, employees and partners and since then, it targeted other companies. It uses a “.locked” extension in marking the files it encrypts. Once it executes its attack on a targeted machine, LockerGoga ransomware will drop its payload file and connect the computer to a remote Command and Control server controlled by the attackers. From this remote server, LockerGoga ransomware will download several malicious components and place them on system folders. They will be used to employ a data gathering module which is the one that collects information from the computer as well as the users. 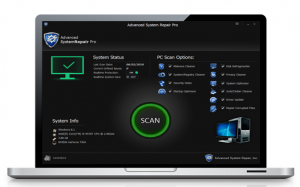 Afterwards, it uses the data collected to employ the next module called stealth protection which is the one that scans the system for strings of antivirus programs, sandbox environment and security programs that might interfere with the attack. After it finds these programs, it either removes them or disables them. How does LockerGoga ransomware proliferate? It isn’t clear how exactly the LockerGoga ransomware proliferates but it could use malicious spam email campaigns – a distribution method utilized by many perpetrators. These kinds of emails contain an infected attachment which may look legitimate and safe as crooks tend to disguise them to lure users into downloading and opening the attachment. Thus, the next time you download or open any attachment or link, make sure that you’ve done a thorough check first. Eliminate LockerGoga ransomware from your computer with the help of the removal instructions laid out below. 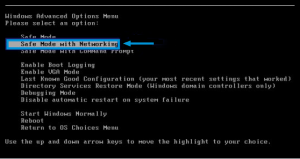 Step 1: First, boot your computer into Safe Mode with Networking and afterwards, you have to terminate the malicious processes of LockerGoga ransomware using the Task Manager and to open it, tap Ctrl + Shift + Esc keys. Step 2: Go to the Processes tab and look for the malicious processes of LockerGoga ransomware and then right click on it and select End Process or End Task. Step 4: Look for dubious programs that might by related to LockerGoga ransomware and then Uninstall it/them. Step 6: After opening File Explorer, navigate to the following directories below and look for LockerGoga ransomware’s malicious components such as a file named worker32. README-NOW.txt and a [random].exe file as well as other suspicious-looking files and then erase them all. Step 9: Navigate to the listed paths below and look for the registry keys and sub-keys created by LockerGoga ransomware. Step 10: Delete the registry keys and sub-keys created by LockerGoga ransomware. Restoring your encrypted files using Windows’ Previous Versions feature will only be effective if LockerGoga ransomware hasn’t deleted the shadow copies of your files. But still, this is one of the best and free methods there is, so it’s definitely worth a shot. Once you’re done executing the steps given above, you need to continue the removal process of LockerGoga ransomware using a reliable program like Advanced System Repair. How? Follow the advanced removal steps below.